Isn't this the cutest ramen you have ever set eyes on? 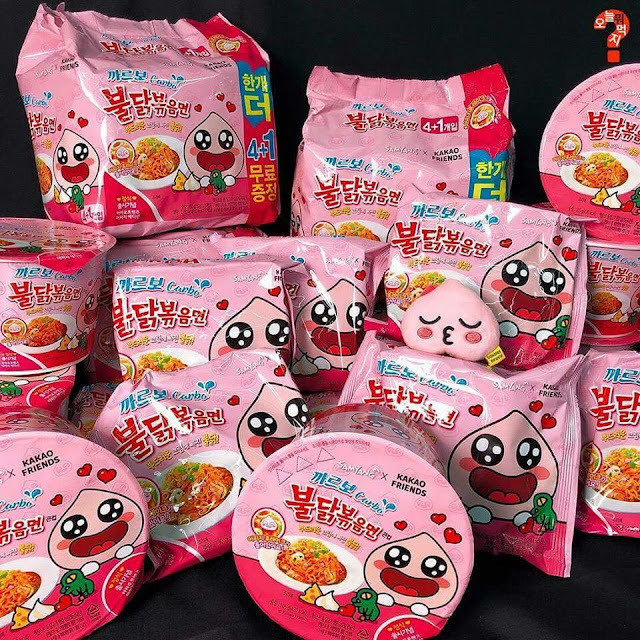 It has Apeach flakes in it! In celebration of carbonara buldak bokkeum myeon, Samyang has released a limited edition of carbo buldak with Kakao Friends Apeach! 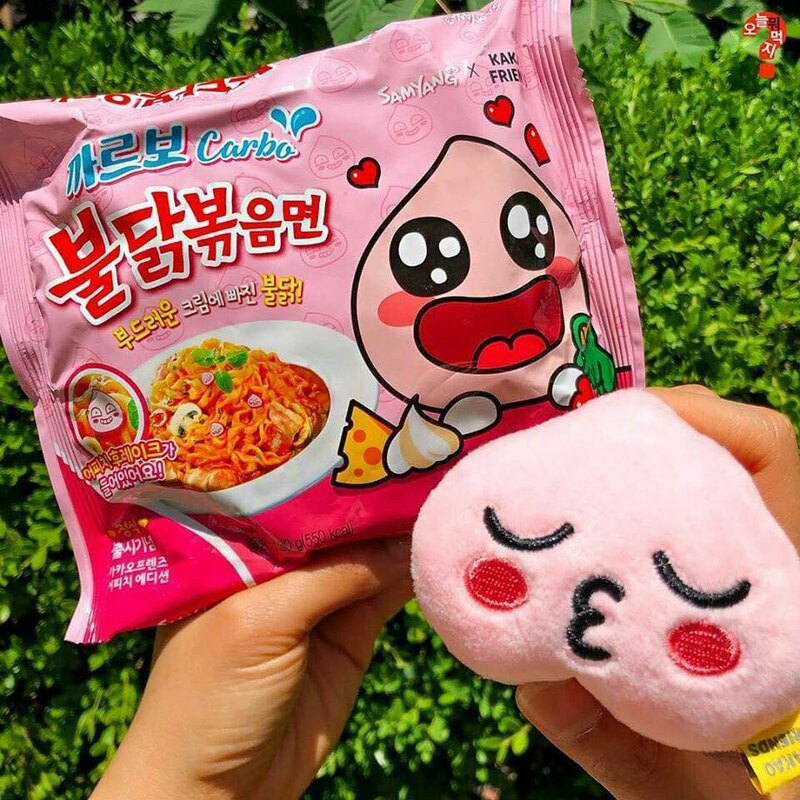 For Apeach and Buldak lovers this is a must buy item! Bingsu or Bingsoo is a Korean dessert which is composed of ice shavings and various ingredients such as condensed milk, fruit, syrups, and etc. Here are some of the new bingsu that has come out for the summer season! Why not give it a go when you visit Korea? Bingsu can be found in cafes such as Droptop, Twosome Place, Sulbing, Paris Baguette, and more. 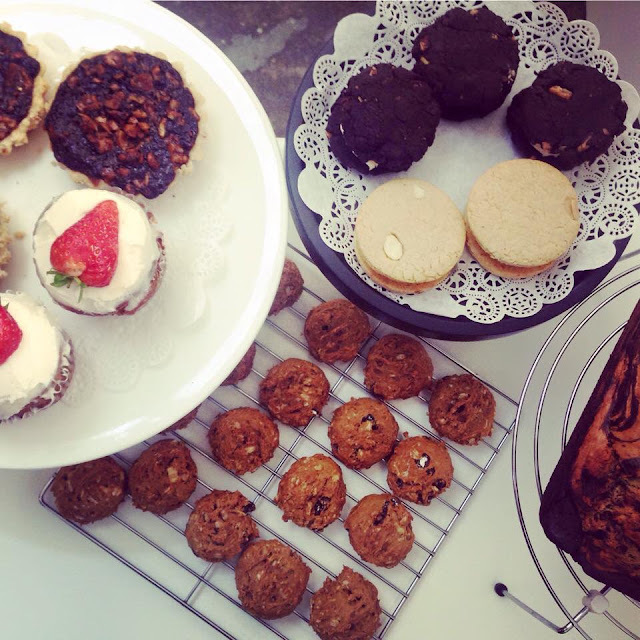 Located in a quiet neighborhood near Hongdae, it serves baked goods that are vegan and gluten free. It uses ingredients such as rice flour, tofu and coconut sugar. Located at a quiet alleyway in Itaewon, it sells freshly baked vegan and gluten free vegan cookies and cakes. 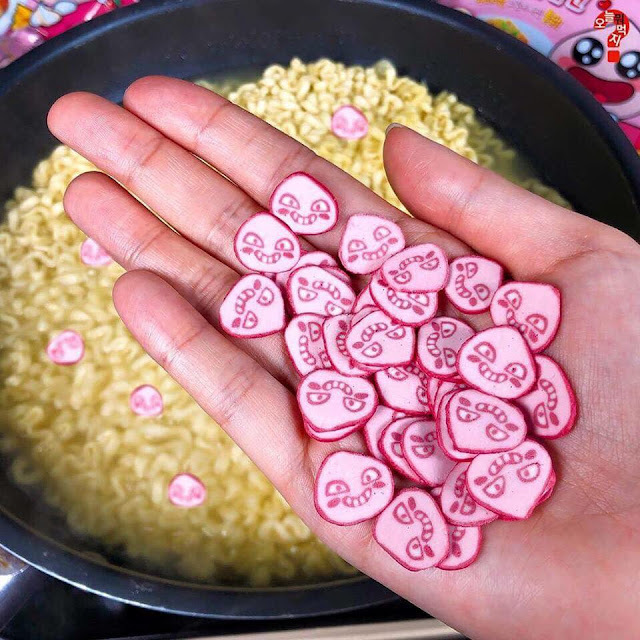 The main ingredient they use are brown rice flour, tofu, and agave syrup. 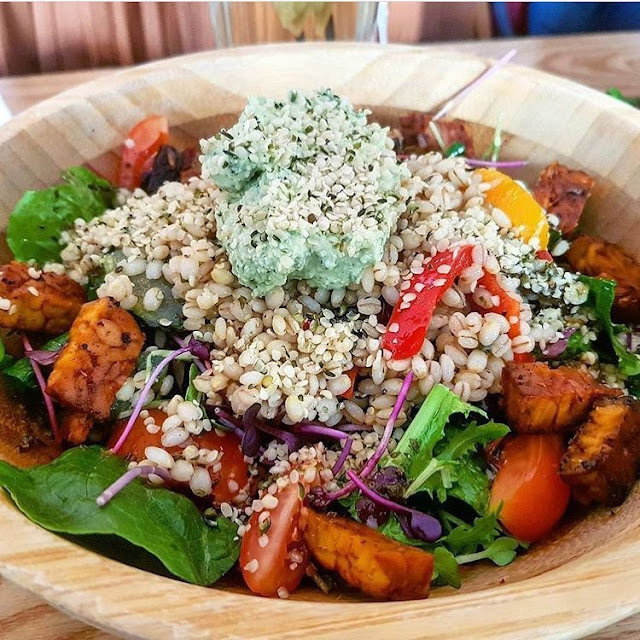 The most famous vegan cafe of all times would be Plant Cafe in Itaewon. Opened in 2013, it serves traditional American baked goods and freshly pressed juices. Plant also serves interesting vegan dishes and has 2 separate locations in Itaewon. 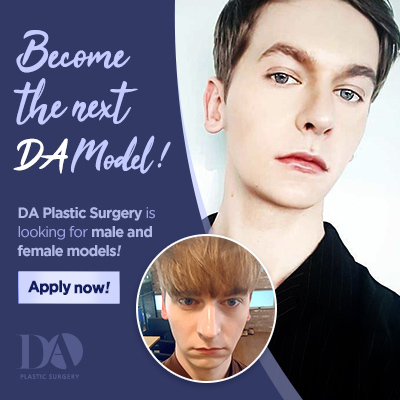 Become the next DA Model! DA Model applications are now open! Apply now by clicking on the link below! Selected applicants will be contacted personally. Please fill out all the required field and attach face profile photo (front and side) without makeup. All applicants must be over 18. Selected applicants need to stay in Korea for at least 1~2 weeks for surgery and cash of 2,000,000 KRW is required as a deposit and will be refunded 1 year after surgery in cash. 1) Keep your head 20~30 degrees higher than the heart to quickly reduce facial swelling. Maintain this posture for 1 week. 2) While sleeping, lying on your side can create too much pressure and cause problems so it is best to lie straight on your back. 1) You can start taking sips of water first 6 hours after surgery and if you feel comfortable, you can start eating rice porridge, and soft bread, tofu, boiled eggs and finely diced foods. 2) Please avoid dairy products and foods that contain large amount of fiber, as it may cause diarrhea. 3) It is recommended to consume soft foods and liquids for 1 week after surgery and after 1 week you can consume regular meals. 4) For 2 weeks, please avoid oily, spicy, salty foods and for 2 months, avoid hard and chewy foods (gum, rice cake, candy, nuts, etc.) and for those who have undergone cheekbone surgery, please be cautious not to put too much pressure on the surgical area for 3 months. 5) Please consume at least 1 liter of lukewarm water to keep hydrated. 6) Please do not use straws. 1) Apply ice packs for 3 days after surgery to minimize swelling and help blood circulate. 2) Large amount of swelling and bruising will slowly go down after 1 week and gradually go down within 3 weeks so please do not worry too much. 2~3 days after surgery is when swelling gets worse. Do not be alarmed, and apply ice packs. 1) To prevent intra-oral infection or inflammation you must gargle your mouth with the mouthwash (Mouthwash 5: Water 5) prescribed from the clinic after every meal to keep your mouth clean. If you have used up the mouthwash, please gargle with clean water. 2) Gargle your mouth when you wake up in the morning and right after you eat. Also gargle your mouth every 2 hours regardless of eating and gargle before you go to sleep. 3) You can brush your teeth 4 days after surgery but do not brush too hard around the incision area and do not brush your gums. Gargle your mouth for one month regardless of brushing your teeth. 4) You are allowed to use toothpaste while brushing your teeth. 1) You are able to shower or wash your hair after applying water-proof tape on top of the regeneration tapes behind the ears and side cheekbones. Please remove the water-proof tapes after shower and if the regeneration tapes have fallen off after shower, please be careful not to get that area wet and dry it properly. 2) You are able to go use the sauna and spa after 4 weeks. 1) To help prevent swelling during the night, light exercise (walking) can help reduce swelling. 2) Vigorous exercises (workout, swimming, and hiking) should be avoided for at least one month. 2) You are able to take 1 Tylenol if you still feel pain after taking the prescribed painkillers. 1) You must wear the facial bandage for 3 days 24/7 but you can take it off during meal time and when you go to sleep. 2) After 3 days you can take a rest for 20~30 mins every hour and you can take them off when you are go to sleep. 3) If you wear the bandage too tight, it will interrupt blood flow and be the cause of hair loss and headaches. Please take cautions to not wear the bandage too tight. 1) You should avoid drinking for at least 1 month as it interrupts white blood cell movements and smoking can deter blood circulation which may result in slow recovery and may cause infection, so do not smoke for at least 1 month after surgery. 1) If there is blood flowing out of mouth and nose, do not blow it out, lightly spit it out and clean it. If there is too much blood coming out and going down your throat, or if the surgical area is extremely swollen, if blood does not stop flowing, and/or if there is blood bruising please contact the clinic right away. 2) You may feel numbness and twinging sensations around the surgical area and these are normal recovery process. 1) If your face becomes extremely swollen or you feel excruciating pain 1~2 days after surgery, please contact and visit the clinic right away. Man travels all the way to Korea to undergo plastic surgery makeover! 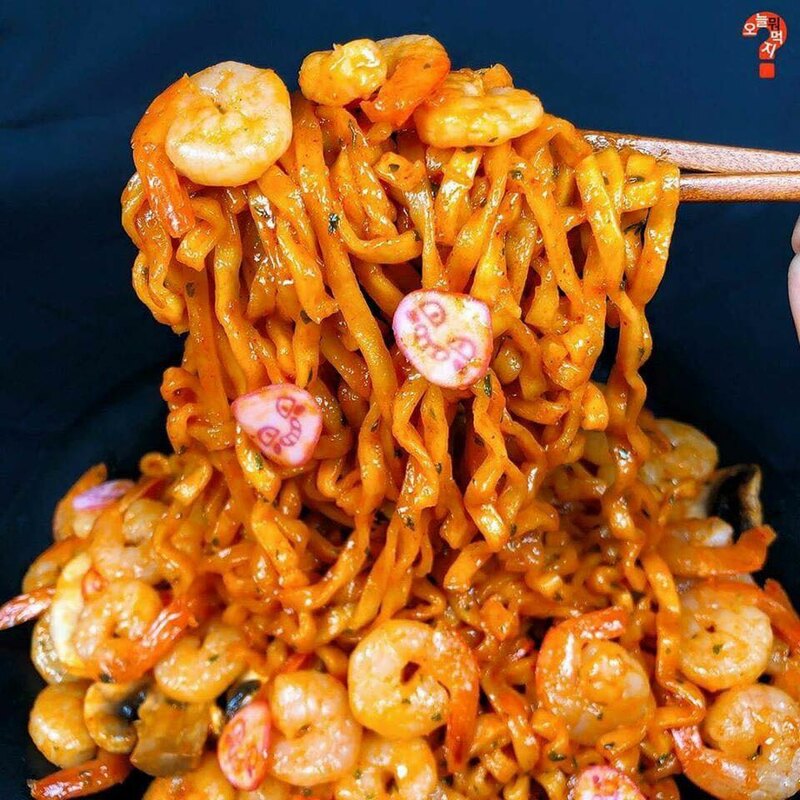 Soju Jelly: True or False?? What do Korean celebrities eat during their diet? 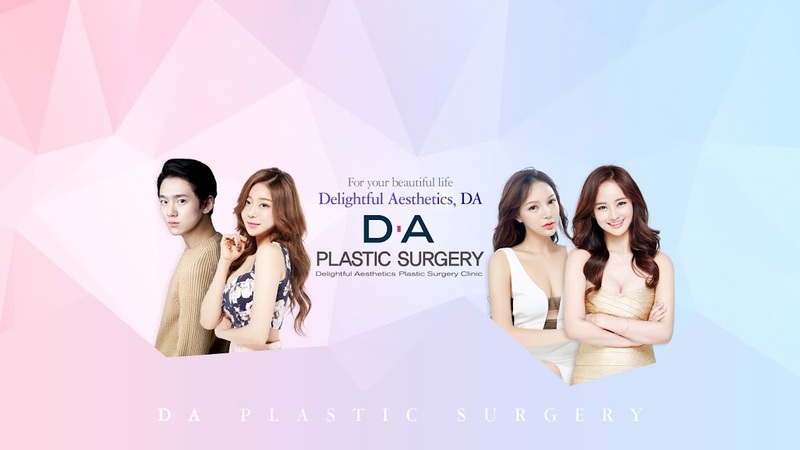 DA Plastic Surgery Clinic. Simple theme. Powered by Blogger.